This is a winner of a book, doesn't really look much but is the most powerful book I recommend. 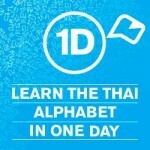 I personally used this Ebook to learn how to read the Thai Alphabet. And now I can type fluent Thai chatting on MSN to Thai girls who have no idea that I'm not even a Thai person. If your serious about learning the Thai Language I suggest you get this book because the Alphabet is the bases of all languages including Thai. 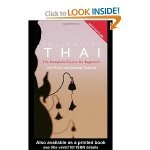 This book is available for free with VIP membership to livingthai.org. Forget about using expensive software and going to school learn Thai yourself learning Thai isn't difficult at all if you have a good book and my friend over at Thailand Redcat has that book! Thai Beginners Course is a book I wish I had when I started out learning Thai, it's got all the useful phrases and things you say in everyday life not a textbook version of the news, you know the way people actually talk! This is a great starter book, and has been revised many times so you can be sure that the book is top notch. 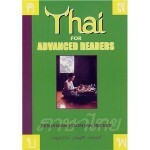 This is a great learners book for anyone who wants to learn Thai. As a beginner to the Thai Language you shouldn't just have one book and keep it as your bible, you should get a few different books until you find the one that works for you. 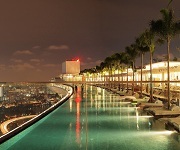 Thai Language for Intermediate learners. If you've completed the first of the series Thai For Beginners then this is just a natural progression. 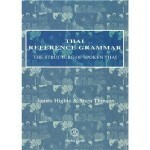 Just like the first book it's been revised many times already and is now the perfect book for learning Thai. When your at an Intermediate level of Thai Language You should spend less time in the classroom, more time studying this book and getting out to talk with Thai people, you don't live in Thailand, that's not a problem, join some Thai Dating sites, there are plenty of girls on their that just want to talk. If your at an advanced level for Thai language and you need some good stories that are interesting and challenging enough to read then do give this book a second thought. It's one of the best advanced reading books I have ever read and is great for brushing up on your Thai if your already at an advanced level of the Thai Language. 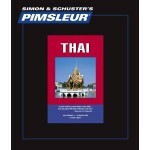 Learn to Speak and Understand Thai with Pimsleur Language Programs. If learning Thai by listening is the way to go for you, then I highly recommend you get the Pimsleur audio Learn Thai Language CD's. This audio book you can listen to on your way to work which is a great way to learn Thai if your not in Thailand. I know plenty of people who learned to speak conversational Thai just by using this method. 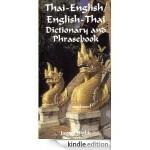 If you really are going to learn Thai, then your going to need a good Thai-English/English-Thai Dictionary. This is a kindle edition which is great because if you're already taking your Amazon Kindle Reader to Thailand then you don't have to carry around another book. I learned to speak Thai fluently and for the first year of learning I would use this dictionary to translate everything that came to mind. The Colloquial Thai language learning book is one of my favourites. The way Thai people speak to one another is almost like another language than what you learn in the regular Thai Language books. This book covers the language that all the other books miss. Thai people use a lot of slang and idioms that you might not otherwise learn if you didn't buy and read this book. Even if you don't already know how to speak Thai this is a great book to have, because it actually helps you to pronounce Thai words better. 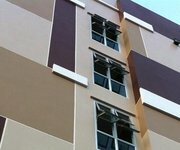 You may think you speak Thai and know what your saying but if Thai people can't understand you because of your pronunciation getting anywhere will be futile. 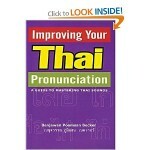 This is both a book and an audio CD that increases your ability to pronounce Thai words with more more fluency. If your serious about Learning Thai, have good support in someone who can speak Thai fluently like a Thai girlfriend or wife and you dedicate yourself, you can become fluent in Thai language if you study this book. It's for those that do well with textbooks. Disclaimer: Please note that individual results can vary greatly. The results I have achieved may not be results that you can replicate. Learning a language requires discipline and hard work. why are you still spouting the virtues of rosetta stone when they do not offer this package anymore? try and buy this form them – then you will find out. it’s still available here in Thailand at the markets for 100 baht. Pimsleur is the way to go. Check the wiki page on the subject – you’ll see why. Pimsleur has LEVEL 1 only. This is 30 lessons. That’s it. They will not product Level 2 or 3. It’s a good way to start, but leaves you in the lurch. if you are serious about learning thai, try another book, not this one!